Women in VFX! Coffees, Conversations & More! 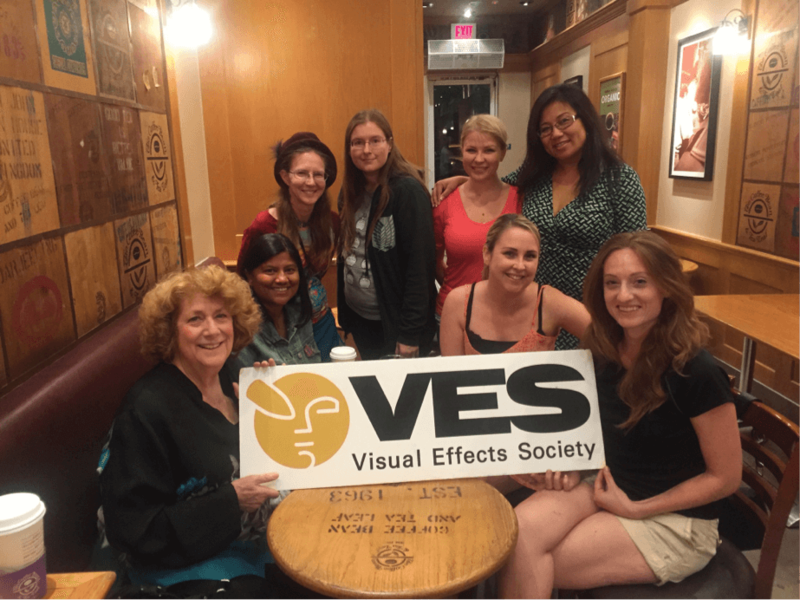 On Aug 6th, the LA Chapter of the Visual Effects Society held their first-ever Women in VFX coffee talk in Burbank CA. Along with the two esteemed ladies that co-chair the VES LA Section Events Chair, Hetal Jain, Executive VFX Producer at BOT VFX hosted about half a dozen women from varied walks of Visual Effects. In attendance were veteran VFX Producer Susan Zwerman, VFX Supervisors, Animators, Look Dev Artists, Pipeline TDs and Nuke compositors. We gathered to exchange stories about the challenges faced by women in this industry as well as developing mentorship and supporting and sharing in camaraderie. Not enough women in the work place, the mutual feeling of the challenges faced by fellow artisan women while starting every project with having to prove their abilities and talents all over again and interestingly moving on to talk about the joys of wearing whatever, from sweats and flip-flops to suits and heels to work! The most coolest part of the conversations was about being accepted into the male-dominated world for liking horror, science fiction, anime, and essentially being just as much of a super-fantastic nerd as any of those guys! I believe this will be a great forum for women to mentor each other, while supporting and bringing balance to the world of Visual Effects. The next ‘Women in VFX’ Coffee Talk is scheduled for Sept 3rd, 2015 to be held at Akasha in Culver City. Get this on your calendar now and BE THERE. The Nerd Festivities continued with Siggraph 2015 and the VES All Sections Party at the J W Marriott, next to the LA Convention Center, with approximately 150 VES members from across the lands in attendance. Even though most of Hetal’s time was spent as a volunteer at the check-in desk, She got to meet some of the BOT clients including Refuge, Resistance, Framestore, and our dear Jeff Barnes.